The hull of the Dyna 52 is specifically designed for the Pod drive system(optional), while still work perfectly with traditional V-drive propulsion system. The Pod system is noted for providing increased fuel efficiency, improved handling and better maneuverability. 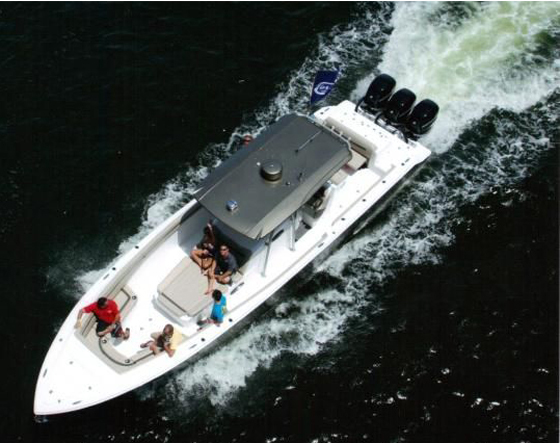 This means Dyna 52 has excellent shallow-water performance and opens new cruising areas to the owner. For the user prefers traditional V-drive propulsion system (V drive), itis the standard engine for this model. 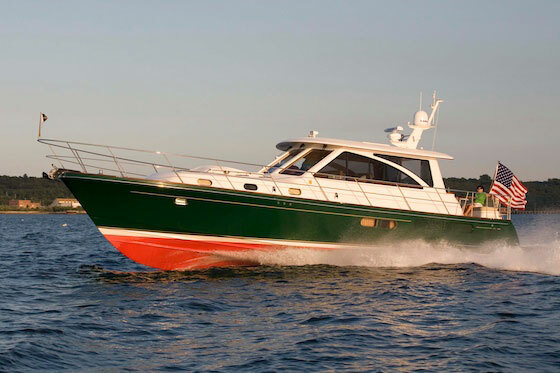 The superstructure of the Dyna 52 has the modern and sleek look that is a signature of all Dyna Yachts. 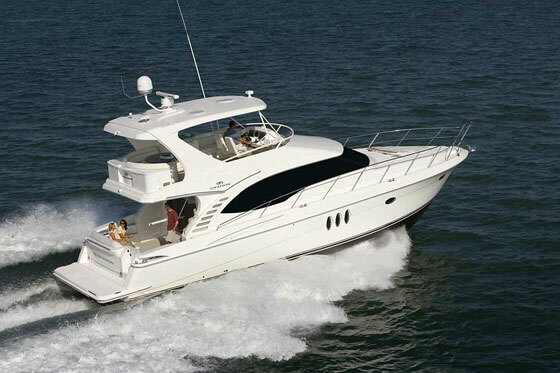 The sun pad area on the foredeck and the open flybridge are perfect for relaxing in the sun. An enclosed flybridge is available for buyers who prefer more shade or additional inside space. The swim platform is also wide enough for stowing a small tender or jet ski. 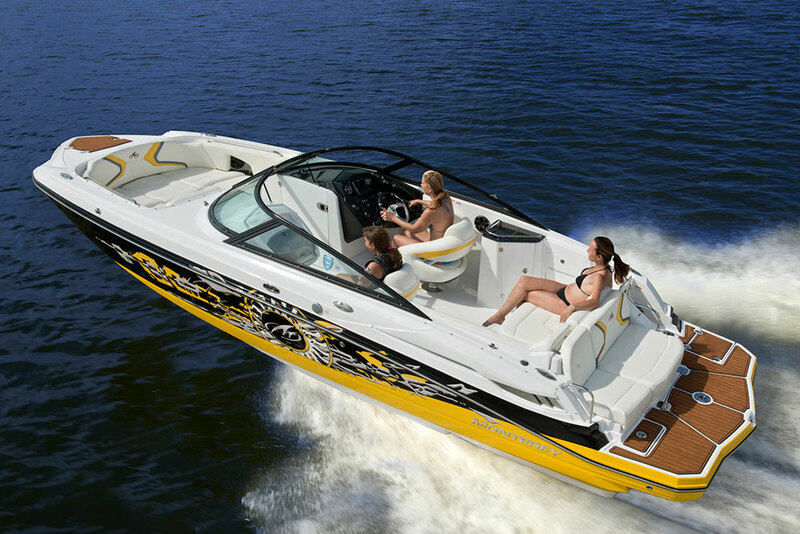 An optional hydraulic lift is available for easier handling of the tender or jet ski. An added benefit of the Pod drive system is that it uses less interior space than the traditional drive system. As a result, the lower deck is spacious enough for a three-stateroom layout that sleeps six people overnight. The master stateroom is now enlarged to a full beam stateroom with full standing headroom, a twin bed, large windows on both sides, and a spacious private bathroom ensuite. Two guest staterooms are located forward for comfortable guest accommodations. The galley-down layout of the main deck allows the owner to entertain the guests in both the salon and aft deck at the same time. With the salon door open the indoor living space flows seamlessly to the aft deck, for idyllic al fresco dining. For those who prefer indoor relaxation, the roomy main salon forward has a comfortable sofa area and seating to enjoy the TV and entertainment system. The large windows of the main deck provide 360 degree views and plenty of natural light. Hunt 52 IPS: What's the Difference?